Most Americans choose Prague as their first foray into Eastern Europe, but the true powerhouse of the region is Budapest, capital of Hungary. Budapest can be challenging and complicated — but it's a cosmopolitan place of unexpected elegance, fascinating and rewarding. 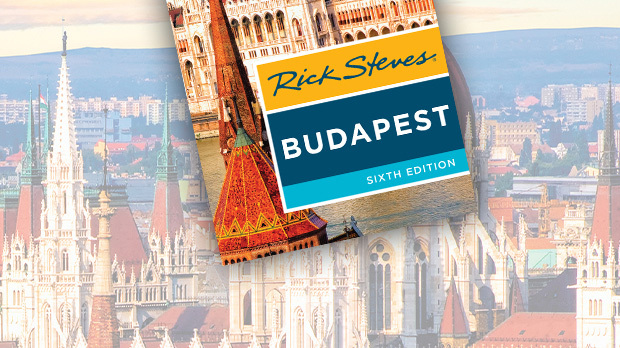 Sprawling across the banks of the Danube River, the city is really two towns in one. The west side is stately Buda, with its Castle Hill and remnants of Hungary's glory days. On the flats across the river is Pest, with prickly-spired buildings and the commercial town center. 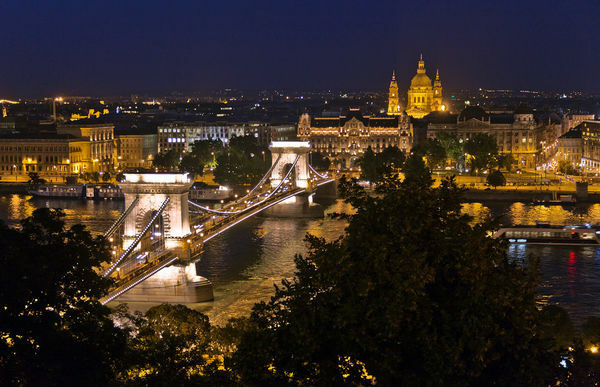 Although modern-day Budapest is fully European, there's something exotic about the place. This area has absorbed wave after wave of migrating ethnic groups. First came the Magyars, who stampeded in from Central Asia about a thousand years ago to settle the region. They were followed by Turks, Germans, Slavs, Jews, and Roma, creating a cultural goulash that's still simmering today. I swear I heard a dozen different languages the last time I visited. Budapest boomed in the late 19th century, after the Habsburg rulers made it co-capital — with Vienna — of their vast Austro-Hungarian empire. Because of this heritage, Budapest feels more grandiose than you'd expect for the capital of a relatively small country. That boom peaked with a flurry of construction in anticipation of a citywide party in 1896 — the 1000th anniversary of the arrival of the Magyars. Not wanting to play second fiddle to Vienna, Budapest used the millennial celebration as an excuse to remake the capital with grand squares, heroic monuments, and even a subway (the Continent's oldest). Many of the city's finest landmarks date from this era, including the neo-Gothic Hungarian Parliament, the opulent State Opera House, and the voluminous Central Market Hall. 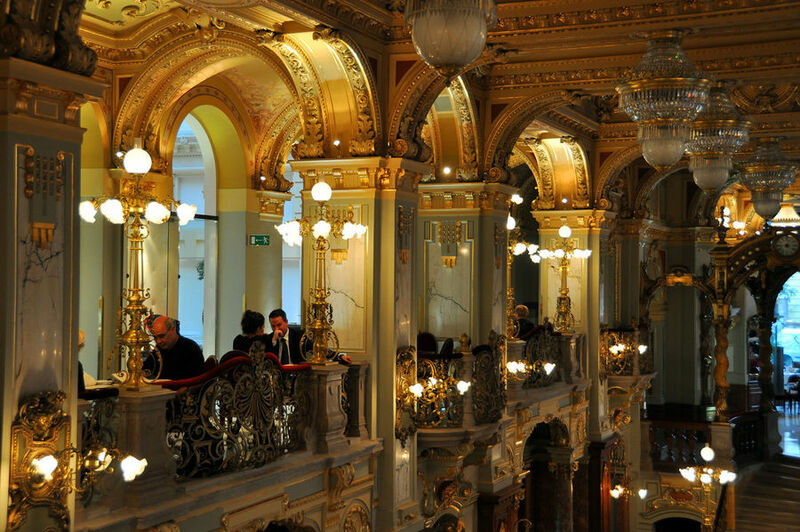 It's worth touring these buildings to ogle their magnificent interiors. By the end of World War I, though, the Habsburgs and their golden-age elegance were gone. Very soon after Hitler came to power in Germany, Hungary ignobly allied itself with the Nazis. Their reward was to be "liberated" by the Soviets, who installed a communist government after World War II. If communism was a religion during the postwar years, Budapest was sin city. While Soviet rule was harsh, Hungary managed to fashion a milder, yet still-acceptable-to-Moscow "goulash" communism. Allowing a little private enterprise, easier travel, and less censorship, Hungary was the envy of its more strictly controlled neighbors. Wannabe shoppers came from all over Eastern Europe to drool over Nikes, Reeboks, and fine capitalist cuisine long before any of these Western evils were available elsewhere behind the Iron Curtain. For East Germans, Czechs, and Poles, a stroll down a Budapest shopping street was like a day pass to the West: Where else could they could buy fancy Adidas sportswear (for two months' wages) and eat Big Macs (after a one-hour wait for their "fast" food)? Today, that time feels like ancient history, and younger Hungarians have no living memory of communism. Nowadays twentysomethings shop in trendy one-of-a-kind boutiques and flock to nightclubs featuring everything from Romany rap to cool jazz. But Budapest still has one of Eastern Europe's best sights remembering the Red old days. Instead of disposing of its statues of Stalin, Lenin, and their local counterparts, an entrepreneur collected them into an open-air museum. The result is Memento Park, located at the city's edge, boasting an entertaining jumble of communist all-stars. In a kind of demagogue's hell, they're left with no one to preach to but each other. Even with the tumultuous detours of the 20th century, Budapest has retained a keen knack for good living. The city's once-vibrant café culture has made a strong comeback (the communists closed down the cafés, fearing a dissident breeding-ground). But now the old coffeeshops are being restored, with red-velvet chairs and doodad-decorated columns dripping with Habsburgian nostalgia. You can also relax with a splish-splash in one of the city's famous thermal baths. Of two dozen or so traditional baths, Széchenyi is the most accessible and fun place to take the plunge. Magyars of all shapes and sizes squeeze themselves into tiny swimsuits and strut their stuff. You can paddle in the aristocratic outdoor pool, soak in indoor thermal baths, or steam in the sauna all day for less than $20. The city boasts marvelous vistas as well. Ride the cute Buda funicular up to Castle Hill for panoramic views from the remaining castle ramparts. Or cap a day of sightseeing with an evening cruise on the blue Danube. As the sun goes down, an ensemble of icons grabs your attention: the mighty bridges linking Buda and Pest, the stubborn citadel standing tall on Buda's hill, and monuments honoring a hard-earned freedom. Budapest, a city of nuance and paradox, has survived its turbulent history beautifully.